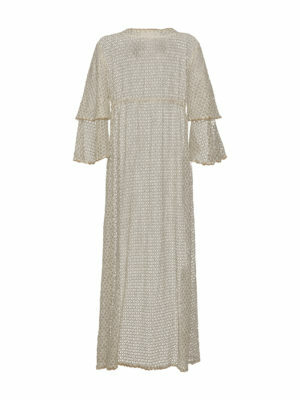 The beautiful Sun Siren Maxi is made from soft cream lace with a unique and delicate shimmering gold thread and is embellished with hand stitched bronze beading. 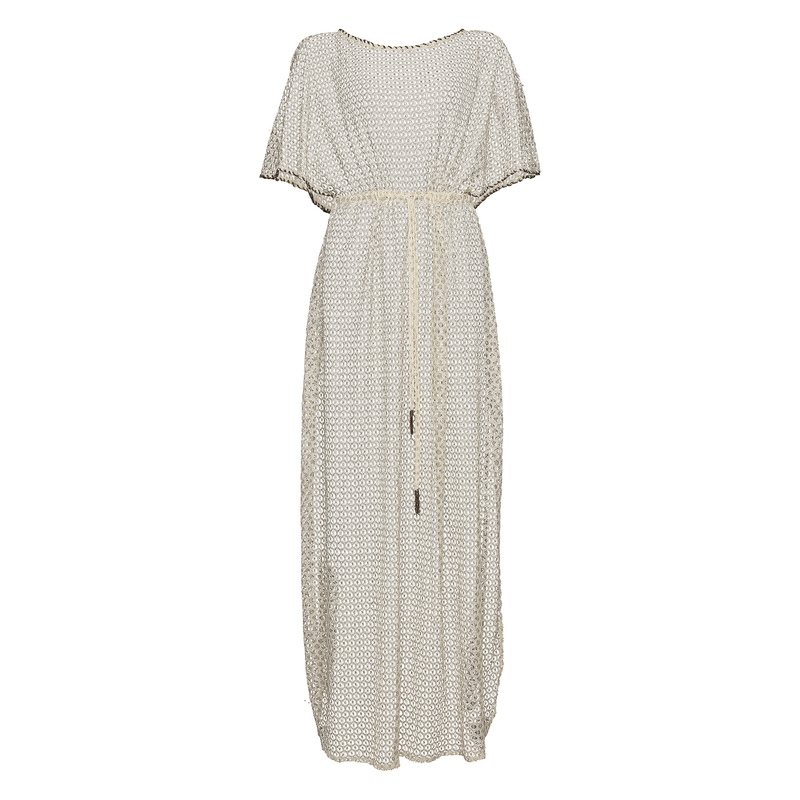 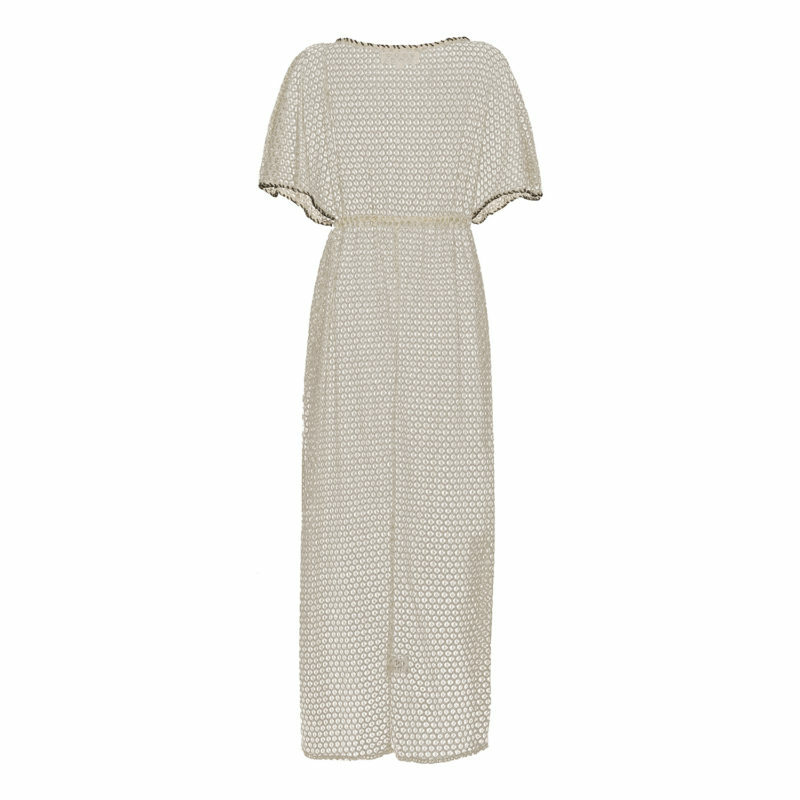 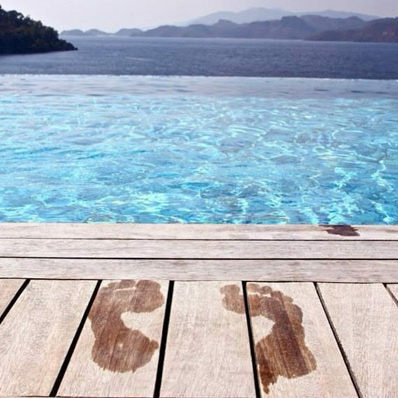 The Maxi style looks stunning barefoot on the beach, on the deck or at that last-minute villa lunch. 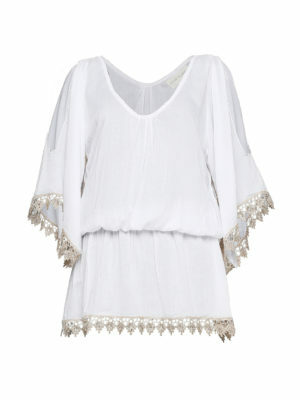 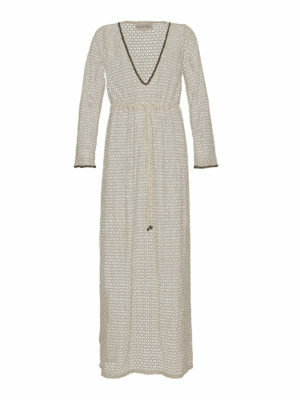 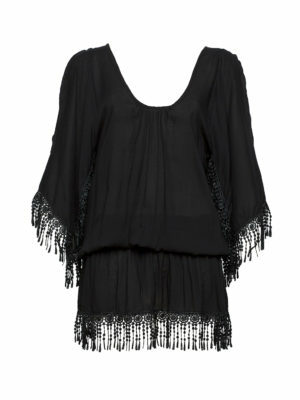 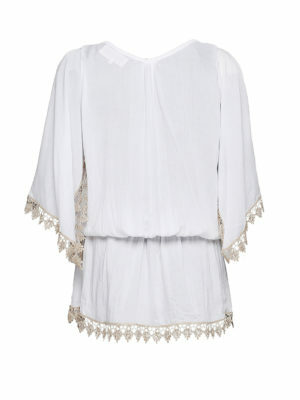 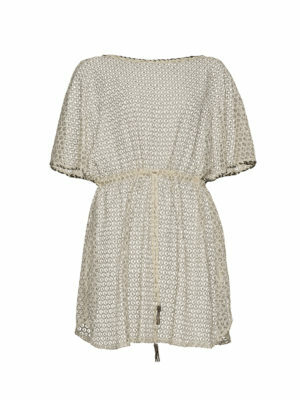 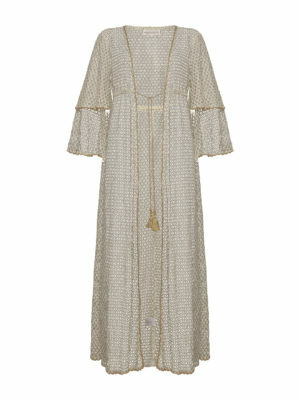 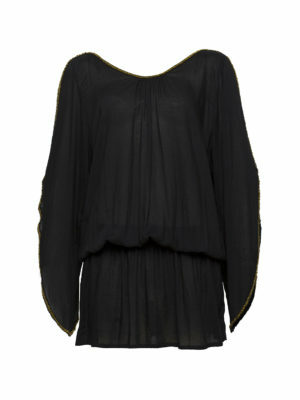 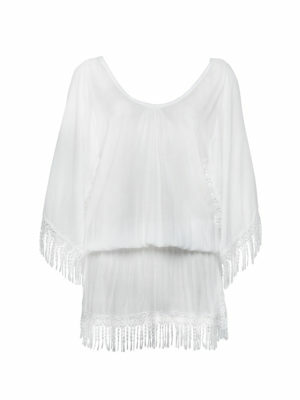 It’s the perfect holiday cover up and can be worn over any swimwear to create an elegant yet effortless bohemian style. 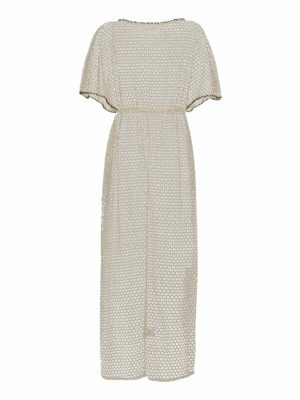 The Sun Siren can also be worn with a slip and teamed with a pair of heels for an instantly glamorous evening look. 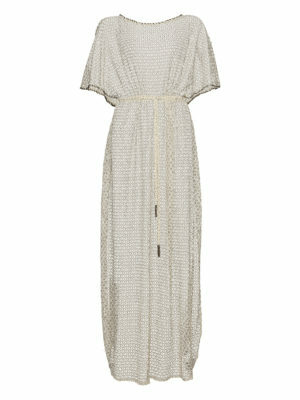 The Sun Siren is also available in a short style .